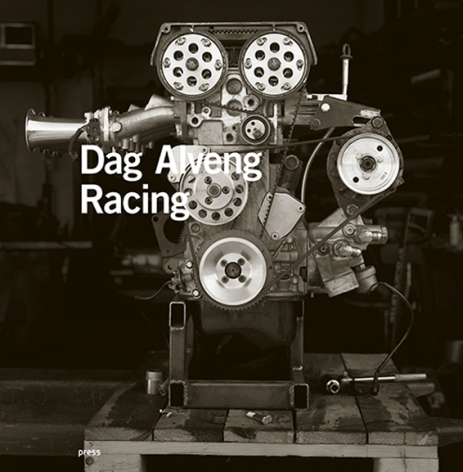 Galleri Brandstrup proudly presents a Dag Alveng “Wilse – The Humanist and His Lab”. The exhibition will show a series of photographs dedicated to the thoughts of clergyman Jacob Nicolai Wilse (1735–1801) and a garden he landscaped at Spydeberg in Norway. Alveng is a master of his media, where the role of daylight plays a central role. As Alfred Stieglitz put it “Wherever there is light one can photograph“. Alveng expands these limits even further: his beautiful black and white photographs are a study, both in and of light. Alveng has a keen eye for detail as well as a skill of producing works of technical quality. He repeatedly works in subtle shades of gray, in which he manages to create an abstraction of reality. The show will contain photographs of the garden from all four seasons, a project the artist has been working on since 2009. Alveng calls Wilse a uniquely gifted and inquisitive man, who was a natural scientist, ecologist, meteorologist and linguist. Alveng stumbled upon his work and started discovering books and correspondences with philosophers of his day. He published a great typographical map of Spydeberg rectory, and made his own garden in the fields. He turned the garden into a laboratory, where he examined flowers, threes, and urbes, weather, climate and natures way. Wilse found the landscape of Østfold to be intoxicatingly beautiful: open and undulating, with ridges, glens and fertile felds interwoven with deep river valleys and large and small areas of uncultivated land. In the gardens, he found peace of mind, which made him express his thoughts on man’s relationship to nature, society and self. For Wilse, science, art and culture were parts of an integral whole. The human being in his or her environment and context was the focus of his interest and respect. ”The photographs in this book are meditations on Wilse – and on nature. I have walked in Wilse’s footsteps and, like him; I have studied the seasons, the weather and the landscape. Like him, I have philosophized about leaves and moss, flowers and branches. Remembering the joy that is to be had from our natural surroundings has been something of a journey back to the mysteries of childhood.” Alveng states. Dag Alveng will simutaniously show at The National Library (opends June 4th), alongside his published works from the library. He will also publish a new book with Oktober Forlag.